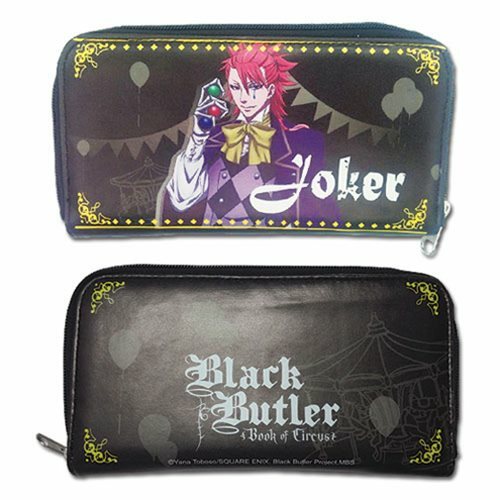 Featuring the Black Butler logo on one side and a Joker images on the other, this zippered Black Butler Joker Wallet makes a great gift for fans of the manga series. Wallet contains 8 card slots and 2 large slots for cash. Measures about 7 1/2-inches long x 4 1/2-inches tall. Ages 15 and up.